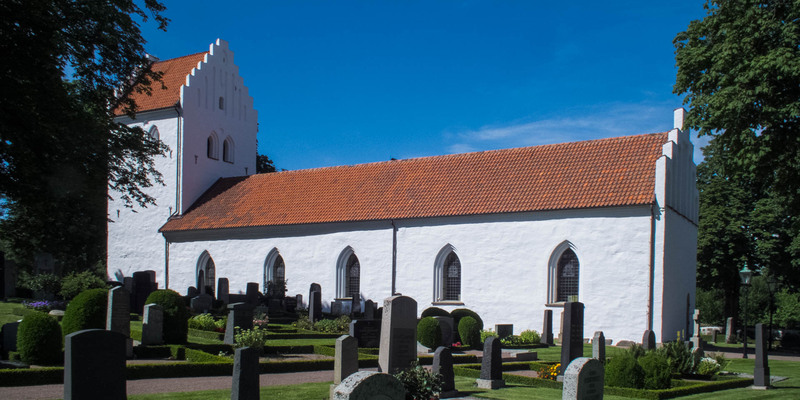 Barkåkra Kyrka, a church from the 12th century, is located in the village Barkåkra, approximately 8 kilometers north of Ängelholm. 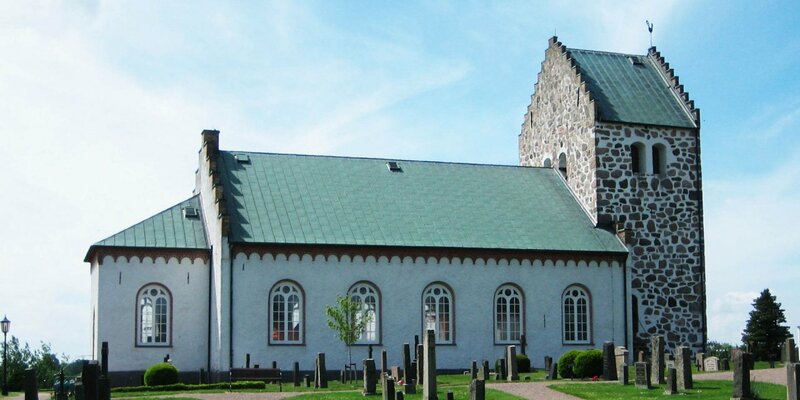 Initially, the church consisted of a short nave with a flat wooden roof and the steeple. The cross vault with the painted ceilings were added in the 15th century, when the church was maintained by cantors of the Cathedral in Lund. After several alterations in the 19th and early 20th century, only the walls in the middle of the nave remained of the original church. 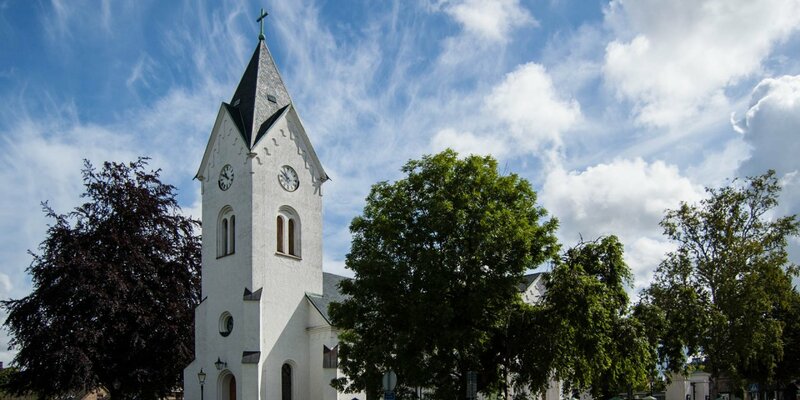 The short transept at the northern side, also known as the "New Church" has been attached in 1802. 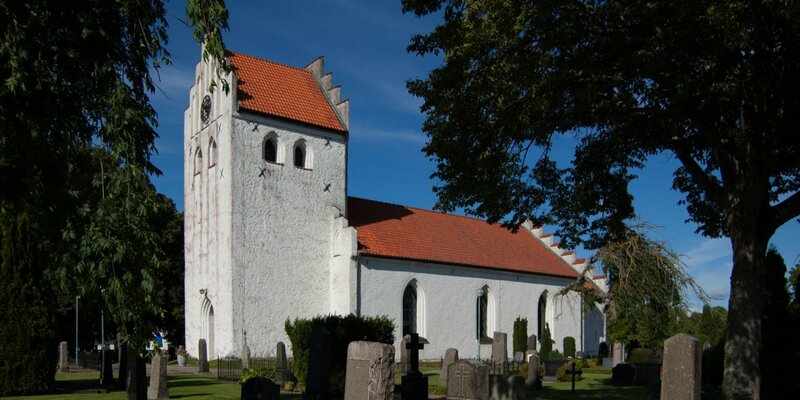 There is a walled crypt of the lords of Engeltofta from the 17th century. Some old daggers and silver shields on the walls of the transept originate from this ancient crypt. The oldest sacral object in the church is the richly decorated stone baptismal font from the 12th century. The hexagonal pulpit with carved representations of the Evangelists was created in the 17th century, while the carved altar and the altarpiece dates back to the 18th century.